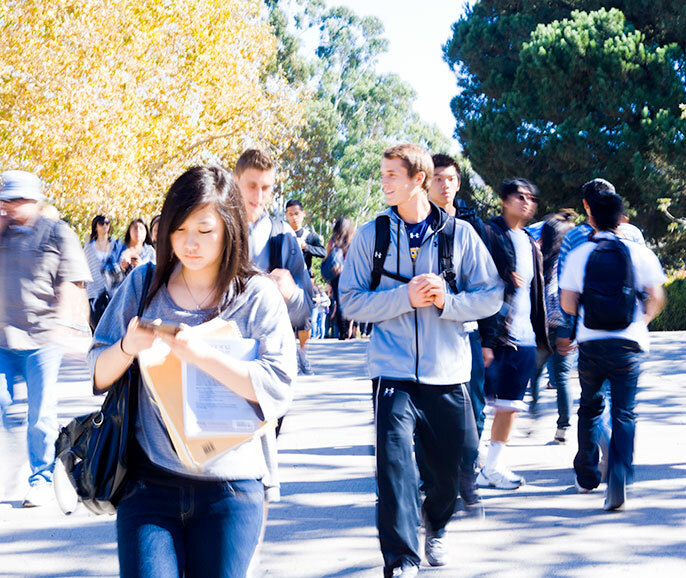 Close to 60 percent of new UC Irvine undergraduates are first-generation collegians. A faculty outreach program aims to let these students know that many instructors are 'first-gens' too. As new UC students unpack belongings, settle into classes and get their first taste of campus life, many are embarking upon an experience that is new not only to them but to their parents and extended families as well. At UC Irvine, some faculty have hit upon a way to help these students feel more at home: highlighting their own experiences as first-generation students. Roughly 25,000 freshman and transfer students — about half of the new California students arriving on UC campuses this term — are among the first in their families to go to college. For these students, statistics show, the first weeks of school can be especially daunting. New undergrads are learning to find their way not only across a maze of walkways and campus greens, but through the unfamiliar landscape of academic culture. Those who don’t have ready mentors in parents and family are particularly prone to feeling out of place. The First Generation Faculty Initiative aims to make the transition easier by connecting students to mentors who have walked in their shoes. The effort seeks to make the first-generation population more visibile on campus, and also provides training to help faculty relate to and support first-generation students, who currently account for 60 percent of new Irvine undergraduates. Simply having first-generation faculty members identify themselves – by wearing T-shirts, telling their stories and letting students know they’ve “been there” – can boost students’ confidence and help them gain their footing on campus, Dennin said. Shifting students’ perspectives even slightly can have a noticeable effect on performance: Recent research has found that a student’s sense of belonging can be a greater predictor of academic success than family income, SAT score or high school grade point average. Officials also hope the effort will have another effect: to demystify the lofty figures at the head of classroom, and cast them as people students can seek out for advice. “All students can see is that we are these grown-ups with Ph.D.s attached to our names,” said history and Chicano/Latino Studies professor Anita Casavantes Bradford, who developed the idea for the program. Professor Anita Casavantes Bradford, who helped start the UC Irvine program, says students who know her story are more likely to come to her for advice. As soon as they found their bearings, the students’ performance began improving. By the third year, they were thriving, but their grades from that difficult first year continued to dog them. Casavantes Bradford wanted to develop an approach that could help students avoid those early pitfalls. She hit upon the idea for the initiative as a simple way to engage faculty to play a more active role in helping students find mentors and community, and to ease the stigma of asking for help. In addition to highlighting their own experiences, the effort helps faculty be more attuned to the needs and perspectives of first-generation students. Take office hours, Dennin said. “Every teacher starts their first class by announcing when they have office hours. But half the class may have no idea what that means,” he said. Fewer still know how important it is to go to office hours – not only to ask questions, but to build relationships that can further their academic career. “Maybe you don’t just mention office hours, but list all of the reasons to go — and one of those is just to get to know your professor,” Dennin said. The initiative also trains faculty to support students in other ways, such as by sharing tips and survival skills, from budgeting enough time for schoolwork (40-50 hours a week) to forming study groups and accessing tutoring services. More than 60 faculty members have signed on so far. Many are first generation, but others simply want to know how to better support this growing segment of UC’s student body. “What we’re trying to do doesn’t necessarily require radically new pedagogical approaches, or completely new curriculum. It also doesn’t require faculty to take significant time away from research,” Bradford said.